Improvising effectively can be the difference between time wasted and time well spent. Think outside the box and join in on this free professional development workshop led by The Making Box. Laughter is a shared experience that creates strong bonds. When we come together in the spirit of play, we leave more open, happy and connected. This resonates, leading to personal fulfillment, professional prosperity and community elevation. 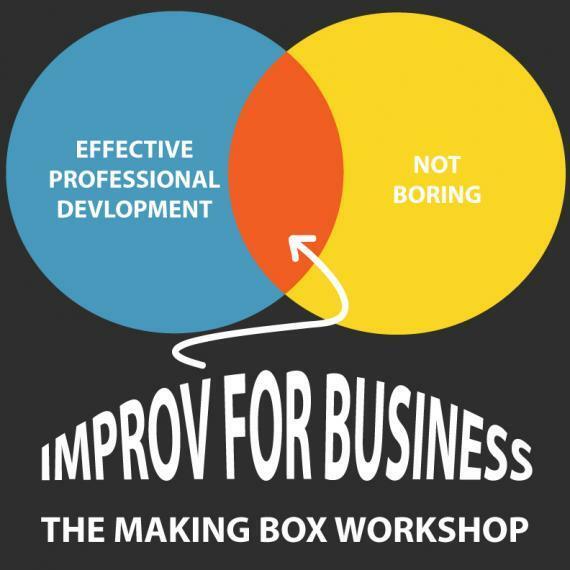 The Making-Box is a hub for live comedy and improv education. Please note: This workshop is for BCOMM students only. Visit the RecruitGuelph  website for more information about this workshop and to register!